Encrypt messages, learn keyboard shortcuts as you go, and more, with these Chrome add-ons. While Gmail delights in any browser, it’s particularly powerful when used in Google Chrome thanks to the wealth of extensions that expand its capabilities. Here we look at a few add-ons that fill some holes in Gmail’s functionality and help keep your inbox under control. Gmail’s interface requires you to select or open a message before you can perform any action on it. That doesn’t sound like much of a hassle, but repeated over and over it can quickly eat away time better spent on more productive tasks. Actions for Gmail adds up to four action buttons next to each message in your inbox. This simple extension lets you add up to four buttons—archive, delete, mark as spam, or mark as read/unread—next to each message in your inbox, so you can process it with just one click. The result is a quicker path to inbox zero. That paperclip icon to the right of your email message lets you know you have an attachment, but it doesn’t tell you what kind. That means you have to open each message to see what file is attached, even if you don’t want to deal with that file right then. 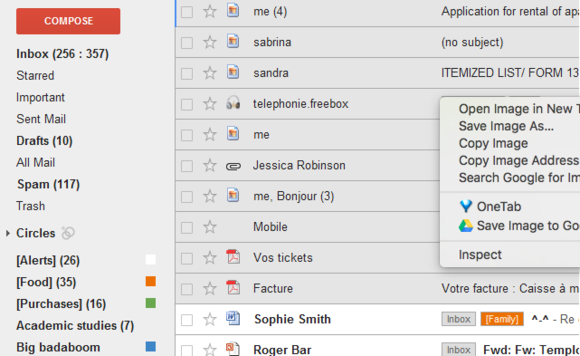 Attachments for Gmail tranforms the paperclip into easy-to-identify icons for various file types. Attachment Icons for Gmail transforms the paperclip into a file-specific icon so you know at a glance what you’ve been sent. Now you can identity attachments as you scroll through your inbox and open only the ones you want to download immediately. Supported file formats include PDF, ZIP, and Microsoft Word, among others. This popular extension lets you manage your messages without ever opening Gmail. It resides in your browser as a small button with an unread message counter. Click it for a drop-down window that lets you preview new email, including sender image and the first line of text. You can open, mark as read, or delete messages right from the Checker Plus interface. Checker Plus lets you manage your messages without opening Gmail. Just in case you’re too busy browsing to notice the message counter climbing, Checker Plus also includes desktop notifications via pop-up windows, sound alerts, or voice notifications. If you frequently send sensitive material via Gmail, this extension is a must. It encrypts and decrypts your messages so that only the intended viewer sees the text. 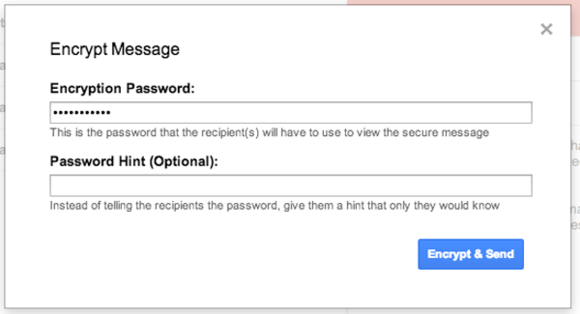 All you have to do is click the lock icon Secure Mail adds next to Gmail’s compose button and write your message and append it with a password. To decrypt the message, your recipient will also need the Secure Mail extension and the password. Secure Mail ensures only a message's recipient can decrypt the contents. Gmail has a ton of keyboard shortcuts for speeding up your productivity. But remembering them all is tough and looking them up each time you need one just slows you down. KeyRocket for Gmail teaches you the shortcuts by tracking your moves and suggesting key-combos for each mouse-and-click action. Use it regularly you’ll be a keystroke king in no time.